Dear Miraclub members, we have exciting news! First of all, this project happens only thanks to your support. We are so glad to see so many members involved in our project. The Mirabook is made for you and by you! Many of you are worried about the incompatibility of Samsung S8 with the next Oreo version because XDA-developers wrote an article about the DeX incompatibility with third-party docks (Fourth Android Oreo Beta for the Samsung Galaxy S8 Blocks Samsung DeX on Third Party Docks). We didn’t want to make a statement without every test and verification needed but now, we can! DeX Oreo 8.0 works with the Mirabook! We ran a lot of tests with the S8, both updated with the last version of Oreo and all is running smoothly. The Mirabook remains compatible with Samsung DeX. 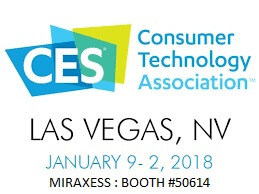 As you may know if you are following us on social media (Facebook, Twitter, Instagram, LinkedIn), we are working hard to unveil the Miraxess vision to the world and find new partners at CES 2018 (01/09 to 01/12) in Las Vegas. The Mirateam will be presenting on the booth number #50614 and we hope to see you guys for this amazing Show! We received a lot of answers to our survey, more than we could have imagined! We are really happy to see how many backers are willing to help us creating the best product possible. The earlier you get it the better we can improve the product. We will have more time to change every little detail with your feedback. We know there is delay, but we are very confident about this beta and we believe there will be only minor modifications in January. The Beta testers have been contacted already through their electronic mailbox and must sign a Non-disclosure Agreement. We tried to get as many devices tested as possible to get the best feedback. Unfortunately you will not see any reviews or tests until the offical unveil at CES in 3 weeks.We count on you! The Consumer Electronic Show is a key moment for our startup and we need your help to make a lot of noise on the web 😉 Get ready to see the Mirabook everywhere. It is almost the end of the year but the most exciting part is about to begin! We will work harder than ever during this CES and until May 2018 to deliver the very first Mirabooks. It has been an amazing year for us and none of this could have happened without you. Thanks again. Thanks for your energy, thanks for your support and we hope to see you with us in 2018 aswell. 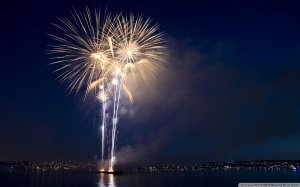 We wish you the best for 2018 and we hope you will enjoy your year’s end celebrations!